Nestlé has announced its ambition to make 100% of its packaging recyclable or re-usable by 2025. Nestlé’s vision includes the ideal that none of its packaging will end up in landfill or as litter, as there is an urgent need to minimise the impact of packaging on the environment. Nestlé CEO Mark Schneider said: “Plastic waste is one of the biggest sustainability issues the world is facing today. Tackling it requires a collective approach. We are committed to finding improved solutions to reduce, reuse and recycle. Our ambition is to achieve 100% recyclable or reusable packaging by 2025″. Nestlé has already begun to implement new packaging with labels to help customers correctly recycle the packaging, beginning with Allen’s lollies earlier in 2018. Nestlé Oceania CEO Sandra Martinez said: “Nestlé has been a leader in adopting the Australasian Recycling Label, which has been designed to outline what product packaging is made from so consumers can correctly recycle”. 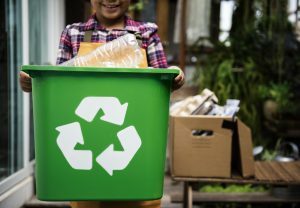 “The scheme, developed by Planet Ark, the Australian Packaging Covenant and PREP Design, recognises that most people want to recycle, but need clearer information,” Ms Martinez said. Nestlé focuses on three core areas: eliminate non-recyclable plastics; encourage the use of plastics that allow better recycling rates; and eliminate or change complex combinations of packaging materials. Promoting a market for recycled plastics by continuing to increase the proportion of recycled plastics in our packaging.